Check out our hand picked selection of the very best mens watches under £1000. From stylish fashion-led designs to technical masterpieces, this watch buying guide has the world’s favourite timepieces from luxury brands like TAG Heuer, Oris, Seiko and Nomos all at an affordable price. It can take a long time searching online, looking through hundreds of different websites and brands to find the perfect watch that keeps within your budget, but with our Best Mens Watches Under £1000 guide, we have done all the boring work for you. As one of the best diving watches in the market and retailing at only £990, this was a must have on our list. This Alpina watch has been designed especially to withstand some of the most demanding situations and thanks to its striking unidirectional bordeaux turning diving bezel available in red, blue, orange and blue, it is also unmissable on the wrist. A brand that prides itself on accuracy, this Ball Fireman Enterprise could not be missed out of our list of the best mens watches under £1000. The overall design has been inspired by the traditional pocket watches worn by railroad employees, the area Webb C. Ball – founder of Ball Watches – made his mark in. This particular model is fixed with luminous micro tubes on the dial that will glow in the dark for up to 25 years without requiring any recharge. Inspired by the slim and sleek watches of the 1960s, Baume et Mercier watches from the Classima range boast an elegant simplicity that is completely timeless. With a discreet masculine quality, this Baume and Mercier Classima watch is unanimously desired for its affordable sophistication and technical brilliance. Hamilton watches in general are incredibly affordable for the quality that you get, so it is definitely worth checking out more of their watches. But this particular Hamilton Khaki Field Automatic watch is an absolute steal. At only £390, you get an automatic watch with a quirky rugged aesthetic and a 38mm case with a water resistance of 100 metres. As one of their most recognised models, this Junghans Max Bill Automatic watch boasts the work of architect and painter Max Bill who is acknowledged as one of the greatest timepiece designers in Europe. His unrivalled energy for clarity and precision in design can be seen in the entirety of the Max Bill watch collection, many models meeting the criteria for our best mens watches under £1000 list. Easily one of the brand’s most popular men’s watches, this Longines Conquest watch is pleasingly priced at only £810 and is fully equipped with a Swiss automatic movement, 39mm stainless steel case and stainless steel bracelet. You can find many variations of this model all within budget in different colours, sizes and movement so it is definitely worth checking out the full collection. Absolutely breathtaking, this Maurice Lacroix Les Classique Moonphase Chronograph watch comes just below the line at £955. Although not automatic, this stunning timepiece does impress with chronograph function, an alligator leather strap and a unique moonphase window at 6 o clock – not something you see on watches of this price very often. So I know this watch isn’t technically under £1,000 but it is impossible not to allow this unique beauty onto our Best Mens Watches Under £1000 list. This is the cheapest Nomos on the market at the moment and it is still a complete steal. The German brand are one of only a few watch manufacturers who design and make their own movements by hand in their own factory. Along with their exquisite automatic movements, patented technology and unique designs, it is definitely worth spending a little more on a Nomos watch. It wouldn’t be right to have a list of the very best mens watches under £1000 and not include an Oris watch. Oris have a huge selection of stunning Swiss made timepieces but there are only a handful that sit within our budget. One of the best selling is the Oris Big Crown ProPilot retailing at £960. It still has a Swiss automatic movement and a generously sized 41mm stainless steel case and although it may not have any unique functions, you can be sure that the quality is sky high. Another one from the infamous Swatch Group, this Rado Centrix watch will not be to everyone’s taste but it has a nice minimalist design and a really clear and simple to read dial. 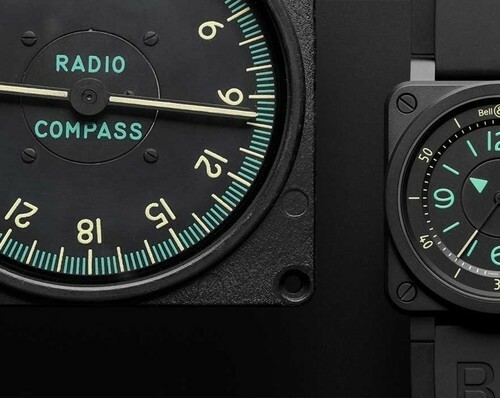 Rado are famous for their ceramic watches – and although this particular one is in steel – if you’re willing to spend a little extra, you can get a truly remarkable timepiece made from a unique and highly scratch resistant material. For those with a passion for music and perfectly engineered timepieces, then it is definitely worth checking out the Raymond Weil Toccata collection. Music has always been an essential part of the brand’s DNA and with over 35 years of involvement in the music industry, you can see some really unique musically inspired designs in many of their collections. Retailing at only £695, this stunning gold plated model has a slim 39mm case, traditional roman numeral set dial and a black leather strap. Another German brand to make the cut, this stunning Sinn 105 St Sa watch is designed for the use of pilots with its racheted bidirectional bezel, luminescent coated indices and large day and date display. The self winding automatic movement is also displayed through the sapphire crystal case back so you can admire the intricate work behind the striking timepiece. There are only a handful of TAG Heuer watches that meet are budget and one of them is this TAG Heuer Formula 1 watch. TAG Heuer’s continuing success lies in the Formula 1 collection that features classy, sophisticated and timeless pieces inspired by the sport of motor racing. This particular model boasts a 41mm polished and fine brushed case with a unidirectional titanium carbide coated bezel and a quartz movement.